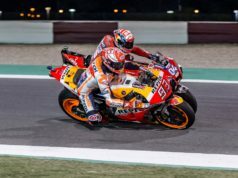 Max Biaggi and Loris Capirossi found themselves side by side on the fabulous hills of Mugello, just as it happened during many Grand Prix Motorcycle Racing seasons. 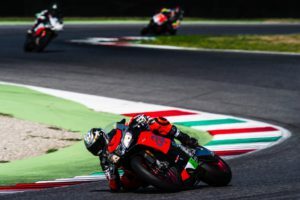 They went out on track astride their Aprilia RSV4 machines, taking advantage of the sixteenth round of the season with Aprilia Racers Days 2018. Max and Loris held nothing back, neither on the track with a long series of laps, nor in the garage. In the pits they were besieged by riders of various skill levels seeking a photo opportunity. And there were many asking for advice on the right setup or the best way to tackle the Tuscan track. “Fantastic! Of course, the things we did when we were racing cannot be repeated. But with this bike, you really go fast and Loris still has his style. So it was like taking a ride down memory lane. This RSV4 is a bike made for the track. It felt like I was back on my SBK. You really go fast and it is a lot of fun. 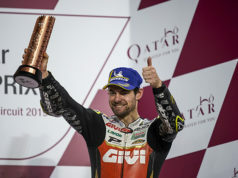 An experience to repeat”, Max Biaggi said. Biaggi and Capirossi turned laps both with the RSV4 RF and on the Italian V4 equipped with the Factory Works kit. At the end of the day, they promised to be back on the track soon. Even in next season’s Aprilia Racers Days! 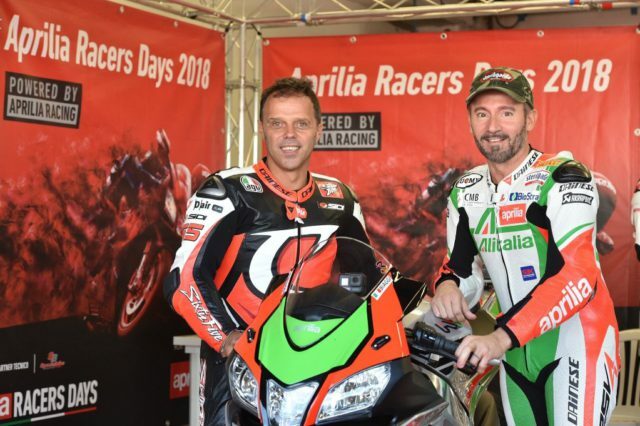 The event today at Mugello was the sixteenth of eighteen scheduled for Aprilia Racers Days 2018. It is an event that gives enthusiasts the truly exclusive chance to test the top models in the Aprilia RSV4 RF and Aprilia Tuono V4 1100 Factory ranges. Imola, Vallelunga, Misano and Mugello are just a few of the tracks on which hundreds of riders were able to test.